The figures Linfield takes up are a gallery of prominent Jewish left-leaning thinkers from the 1940s on—especially in her chapters on Hannah Arendt, Arthur Koestler, Isaac Deutscher, Maxime Rodinson, I.F. Stone, and Noam Chomsky. She focuses as well on two further figures: Fred Halliday (the only gentile writer she takes up) and Albert Memmi (the Tunisian writer and only non-Westerner in the book). All of them were sometime Zionists, and all of them indulged anti-Zionism. By describing their intellectual journeys—and their intellectual peculiarities—Linfield hopes to illuminate the left's odd relation to Israel. Thus, for example, The Lions' Den follows Hannah Arendt's twisting reaction to Zionism through the decades, from her early support to the disdain she unleashed in Eichmann in Jerusalem. In perhaps the key line of the book, Linfield insists that "Arendt's writings are a model of the pitfalls into which so many commentators on Israel fall: arrogance, ignorance, remoteness, abstractness, and the tendency to see the country and its conflicts as a replication of previous histories rather than as uniquely themselves." As a young man, Arthur Koestler was briefly employed as a secretary to the Zionist Ze'ev Jabotinsky, and initially he saw no conflict between his Marxism and his Zionism. A visit to Israel in 1948, however, prompted him to write that the "accumulated psychic pus" of Jews would destroy the state. And even as he became well known for his turn against communism, his relation to Judaism remained strange—and worse than strange, Linfield notes, as what had been "relatively decent and humane" in his early ambivalence turned into the nutball notions of a full-blown crank. The French writer Maxime Rodinson opined loudly on Israel, as he did on so many topics. And Linfield finds in his work a description of one cause, perhaps the primary cause, of the left's turn against the Jewish state. Israel, Rodinson insisted, needs to be understood as essentially colonial: the final creation of Western imperialism. And just as, say, Franz Fanon would argue that the oppressed feelings of the colonized were more morally profound than the lives of the colonizers, so in Israel the fact that the Jews finally had a homeland must pale beside the fact of Palestinian colonization, for what matters, Rodinson claimed, is "only the insult to Arab pride." And then there's Noam Chomsky, whose incoherence Linfield treats with a disdain that is almost beyond what the man deserves. Chomsky opposes the Palestinian right of return, for example, while simultaneously accusing Israel of every crime imaginable. The solution to the Israeli-Palestinian conflict, he suggests, is not two states but no states—since nations are immoral entities to be eliminated in the progressive world order. No fully satisfying explanation for contemporary leftist anti-Zionism emerges from The Lions' Den, except perhaps in the book's demonstration that the left never supported Israel. Not really, not down in its bones. Even for left-leaning Jewish thinkers in 1948, there was something overly particular about Israel—something contrary to the internationalist and universalizing trends they demanded from history. As details about the Holocaust emerged through the 1950s, support for Israel generally swelled. But the 1967 Six-Day War seemed sufficient excuse for some on the left—notably I.F. Stone and Isaac Deutscher—to swing back to opposition. Maxime Rodinson's seminal essay "Israel, fait colonial" appeared that same year in the Parisian journal that Jean-Paul Sartre edited. Susie Linfield looks to her favorites, Fred Halliday and Albert Memmi, for ways to remain a leftist while being generally pro-Israel—and, presumably, a leftist while not falling into the anti-Semitism that follows all too often from criticism of Israel. It's a dream and a delusion, a false light leading only deeper into the swamp, readers will conclude as they reach the end of The Lion's Den. 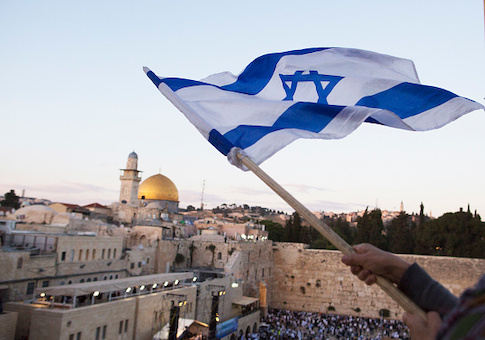 There’s nothing in contemporary Zionism that demands one be a conservative to support Israel. But there's plenty in contemporary leftism that pushes one to be an anti-Zionist and, too often, an anti-Semite. This entry was posted in Culture and tagged Book reviews, Israel. Bookmark the permalink.